Mix everything and make cute little balls. Grease the appe pan with a drop of oil. Place a skillet (tawa) on direct flame. Put the appe pan on the skillet. Place balls. Cover the pan with a lid. Fry for 5 mins and then flip sides of the little roundels so that they are evenly heated from all sides. Serve with coriander chutney or condiment of your choice. 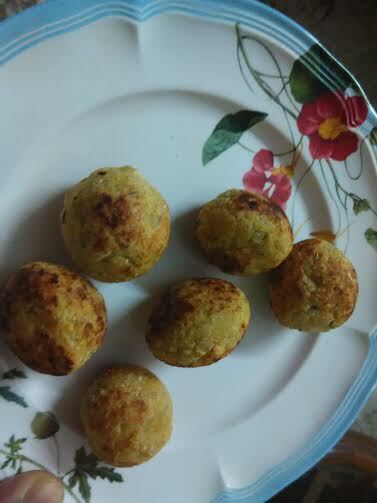 I relished these cuties as an accompaniment with rice.